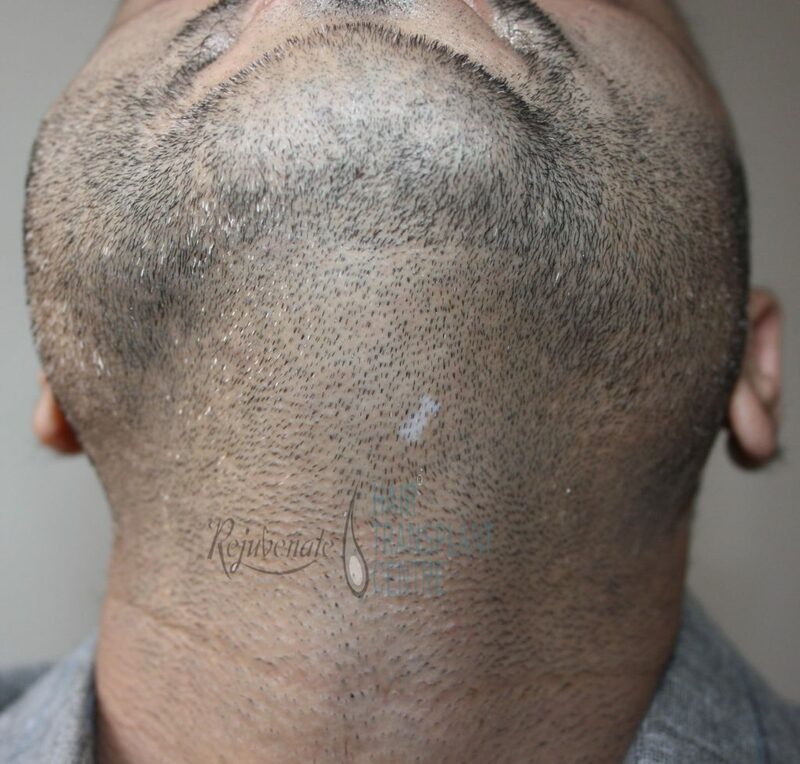 BHT (Body Hair Transplant) is done using the same FUE (Follicular Unit Extraction) technique, so it is also known as No stitch technique. BHT areas can be beard, chest, back, stomach area, legs, and arms.BHT is done in people suffering from extreme baldness, who have very less reserve or very thin hair at the back of their scalp. Thus this technique gives a big ray of hope to even those with severe (Type VI and VII) hair loss. 1. Limited donor area on the scalp (Grade VII patients) looking for covering the complete area. 2. Sometimes Patient wants higher density but it’s very difficult because of the limitation of grafts that can be extracted from the scalp in one sitting. 3. Some cases like burn scar or scar of previous strip surgery etc. 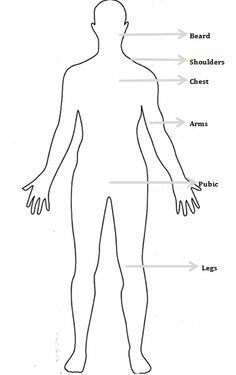 We can use the hair from Beard, Abdomen, Legs, Arms, Underarm. Body hair transplant is done through FUE procedure that leaves no linear scar at the end of the surgery. Beard is very good, and as they are thick and Curley they give more visual density.they are implanted along with scalp hair follicles. 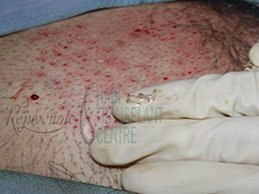 Body Hair Transplant (BHT) as a major plus point may become donor hair because they are not genetically DHT susceptible hairs as some of the scalp hairs in MPB (Male Pattern Baldness). People who are suffering from severe baldness, having lost their hope after getting poor results from wrong hair transplant procedure can very well benefit. It is stitchless technique and no severe pain. CHEST AFTER GRAFT EXTRACTION IMMIDIATE POST OP. Who Can Go For BHT? Any patient who wants a large number of hairs on the scalp, poor donor area, has undergone repeated hair transplants, or have caught some kind of alopecia can go for body hair transplant. 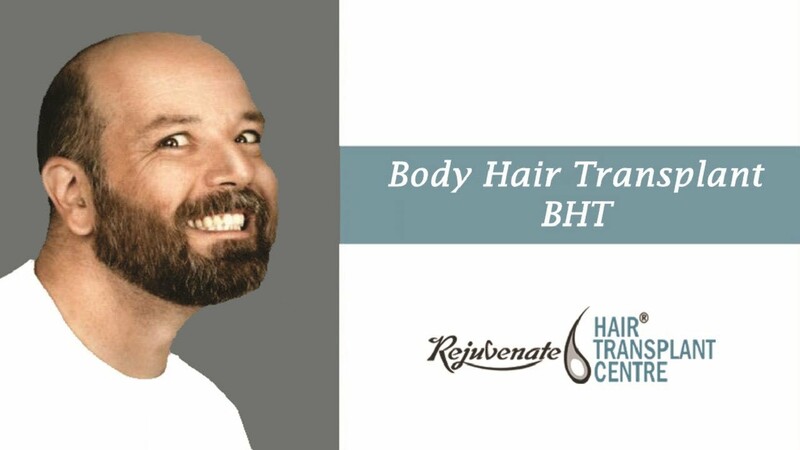 At Rejuvenate hair transplant center BHT is used for extraction of hair follicles especially for successive stages of hair transplant. 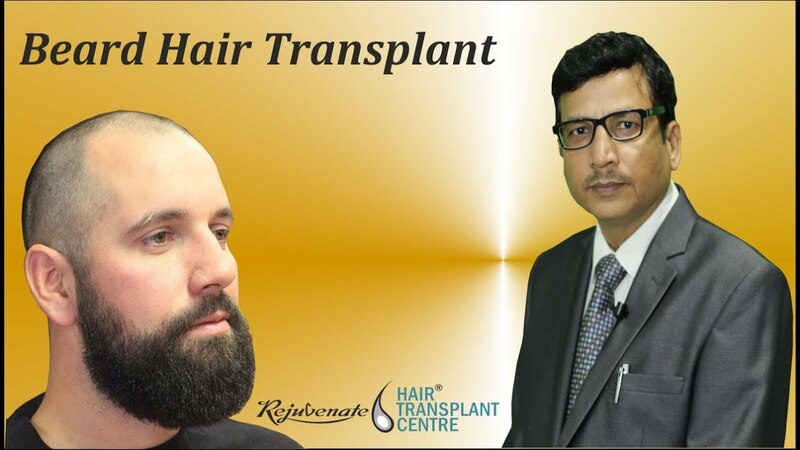 This technique developed at rejuvenate hair transplant centre. 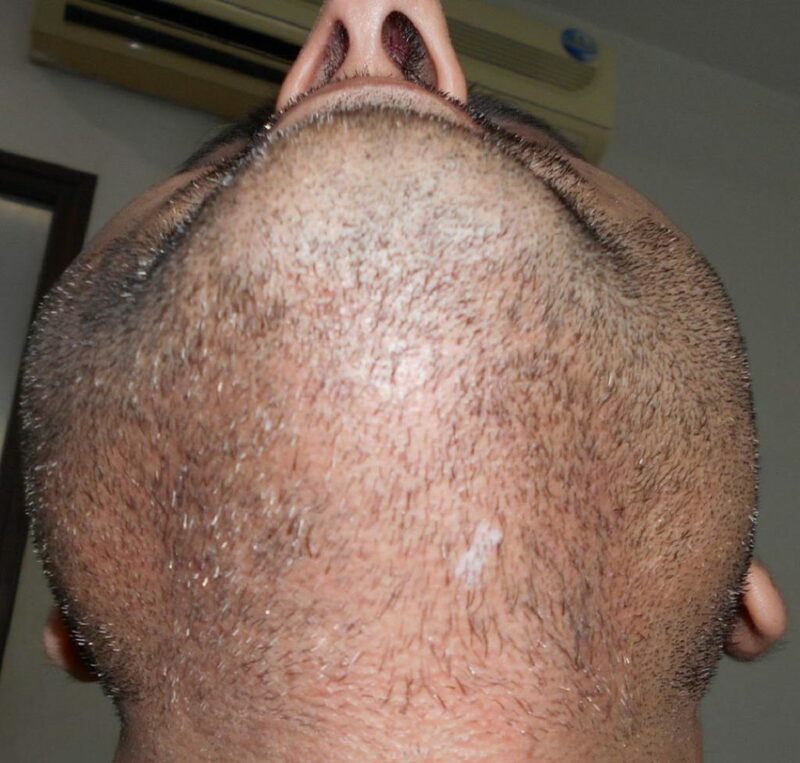 In this scalp hair follicles are mixed with body hair mostly beard to get more visual density in forelock area and in crown.In cases of Norwood Grade IV and above even in first hair transplant procedure beard hair follicles are used with scalp to implant in forelock and if needed in crown area. 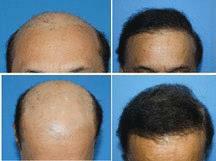 BHT technique is possible only in patients who possess good hair on the body. Only the FUE method is suitable for harvesting body hair. Body hairs are shorter in length, are thinner and hence their extraction needs special technique and expertise. BHT technique is a blind technique of harvesting follicles, so there can be chances of follicle damage, depending on the experience of the surgeon. In BHT multiple small circular scars are given after extraction of follicles which are not visible. At Rejuvenate hair transplant center Body hair transplant is done as often as scalp hair transplants. The experience of the team in BHT is important because the direction and texture of hair are different. So the same need to be mixed properly with scalp hair. Growth is fairly predictable at three months. On a rare instance, a poor yield at 12 months changed to an excellent result between the 12 and 24 month time period. Though the use of BHT procedure shows remarkable results, the right selection of patients is very important. This technique should be reserved only for persons who have extreme baldness and insufficient hair on the back of their scalp.Coverage, in general, is easier to achieve with scalp hair so this should be the first line of treatment for hair loss.